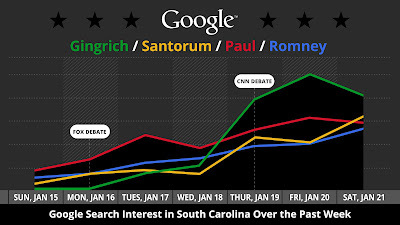 Politics & Elections Blog: How did the GOP debates impact South Carolina Google searches? 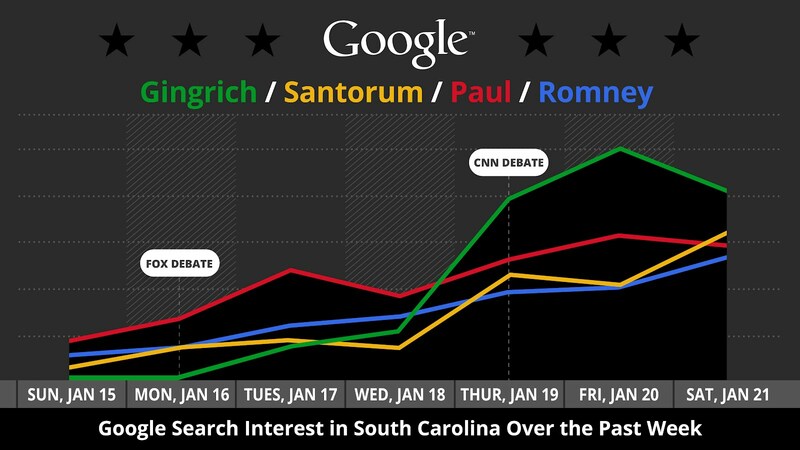 How did the GOP debates impact South Carolina Google searches? showing a nearly 700% jump in South Carolina searches for the former Speaker. Much has been written about Newt Gingrich’s surge over the last week, including a Google Politics & Elections post showing a nearly 700% jump in South Carolina searches for the former Speaker.